Beautiful and frenetic, sublime and sometimes unpredictable, Asia’s vast tapestry of ancient cultures and brilliant landscapes have delighted travelers for centuries – and there couldn’t be a better time to experience five of its most fascinating countries for yourself. Asia is a continent so full of adventure and intrigue that one could spend years traversing its many countries and cities and still not experience all its fascinating sights, sounds, and flavors. With so much to explore and experience, we’ve chosen some of our favorite bucket list adventures that will make you fall in love with Asia and its countless wonders. With its exotic temples, splendid palaces, incredible wildlife and enticing cuisine, India promises to be a place you’ll never forget. Here one can explore a diverse land that combines the traditional and modern with surprises around every corner. At one side, India boasts the immense Himalayas, while on the other, it enjoys miles of exotic beaches. Every landscape will inspire and you’ll be welcomed by a culture of fascinating traditions and warm smiles. If you enjoy traveling a bit off-the-beaten-path, consider exploring India’s great royal cities and palaces of the Raj, the wilds of the Ranthambhore National Park, the deserts and colorful forts of the west; and journey south to historic temples, tropical forests and exotic coastlines. India boasts a colorful calendar of festivals and fairs. Packed with fun and excitement every season brings with it new celebrations. The birthdays of gods and goddesses, saints and prophets, historical events and the advent of the New Year are all depicted in vibrant festivities. From squidgy South Indian idlis (fermented rice cakes) to zesty north Indian curries, foodies can look forward to savoring a seductive smorgasbord of specialties. There are regional specialties, and staple ingredients in each state combining to create a diverse and thrilling cuisine. For a comfortably paced tour of India, Insight Vacations’ Luxury Gold 14-day tour of classical India with Nepal takes you on a journey into a wonderland of the exotic and enigmatic, full of strange fascination — from the temples of Khajuraho and the splendid Taj Mahal, to the ashy presence of Hindu holy men and the world’s only official living goddess. These two countries move in their own mysterious ways, often inundating the senses, so it’s comforting to know you will be in the expert care of Insight’s Luxury Gold Traveling Concierge and enjoy a superior level of quality, comfort and service. 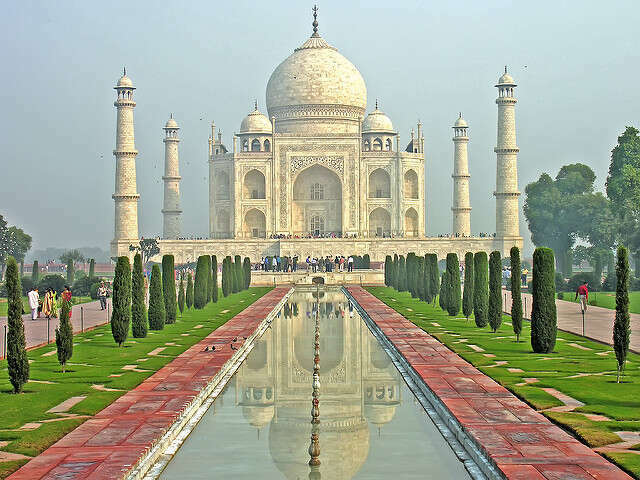 Start your trip to India with us today!